Beautiful venues, exquisite surrounds, impeccable service and delicious treats. Our handy round-up of luxury afternoon tea in London offers a decadent dining experience to savour. Whether you are looking for a special gift for a friend or treating yourself (look out for our exclusive discounts), our exquisite afternoon tea guide has the perfect ingredients for a great day out in the capital. One of the finest hotels in the world, the Ritz Hotel has a formidable reputation. 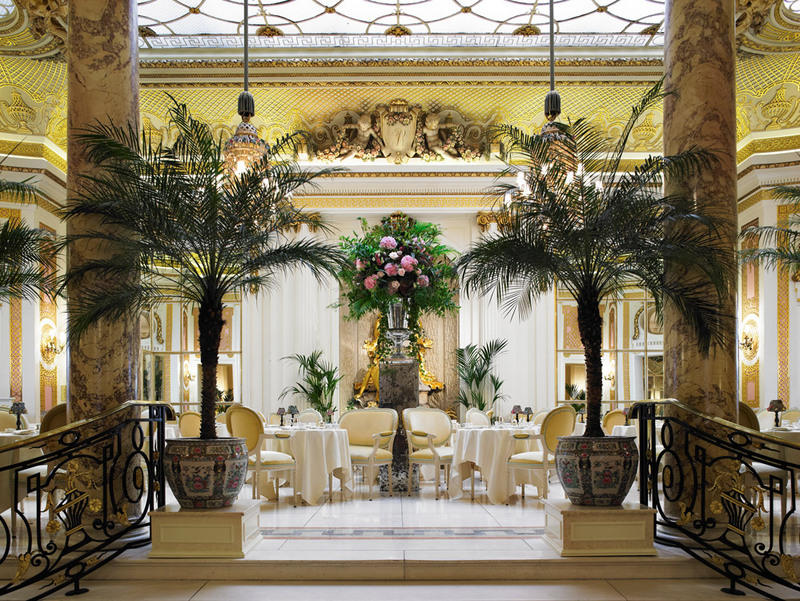 A place to see and be seen, afternoon tea at the Ritz is held in the opulent surrounds of the Palm Court. Sumptuous decor, sparkling chandeliers, gilded statues, flamboyant floral displays and a beautiful fountain create an exquisite setting for a memorable afternoon tea. Afternoon tea at the Ritz is a quintessentially British dining experience offering a selection of finely cut sandwiches, freshly baked scones with Cornish clotted cream and strawberry preserve, and a mouth-watering range of pastries and teacakes. Boasting a certified tea sommelier who travels the world to source The Ritz London’s fabulous teas, there are 18 varieties of loose-leaf teas to choose from. Your afternoon tea at the Ritz experience is enhanced by a pianist playing gently in the background. Discover Afternoon Tea at the Ritz, London . . .
A true London culinary institution renowned for its formidable hampers, elegant wines and spirits, famous teas and coffees it has also acquired a reputation second to none for its fine dining offerings in its restaurants and bars. 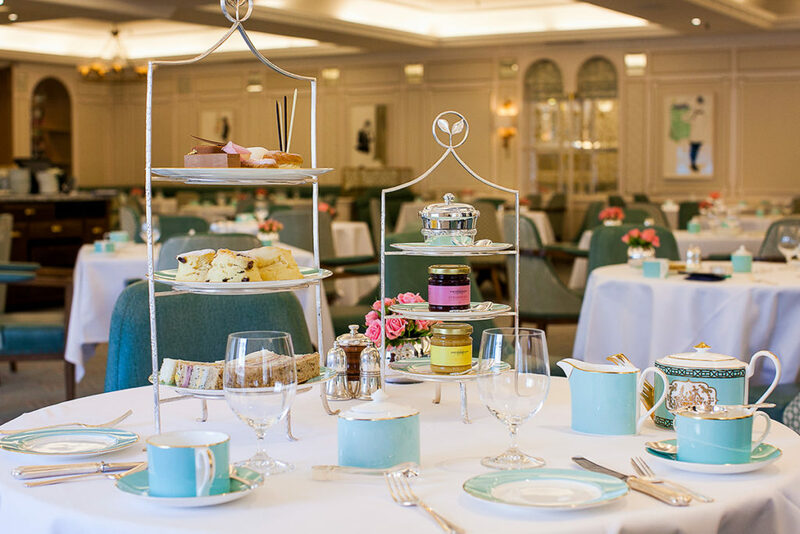 Afternoon tea at Fortnum and Mason is served in the acclaimed Diamond Jubilee Tea Salon opened by her Majesty The Queen in 2012. Afternoon tea is presented on Fortnum and Mason’s own classic crockery with its distinct pale blue colouring. An elegant three tiered cake stand bedecked with seasonal, finger sandwiches with traditional delights including Fortnum’s smoked salmon, honey roast ham with grain mustard and coronation chicken will send your taste buds into a tingle. Mouthwatering cakes and pastries and freshly baked on-site scones served with clotted cream and Fortnum’s preserves will satisfy the most distinguished tastes. Girls Afternoon Tea has an exclusive 25% Discount off Champagne Afternoon Tea at Fortnum and Mason. Check out our fabulous Fortnum and Mason offer . . .
Harrods epitomises the best of luxury, style and sophistication. 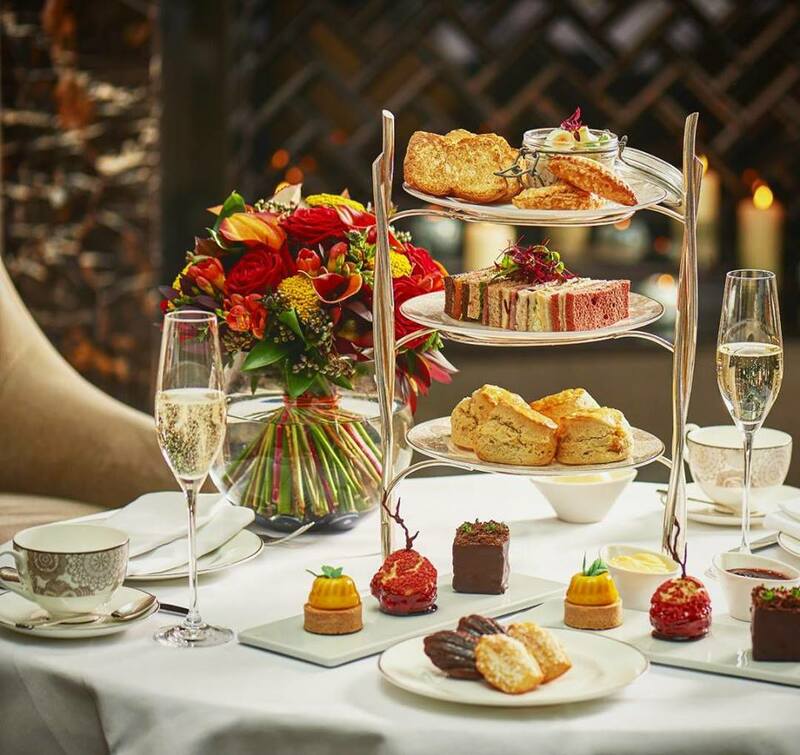 One of London’s most prestigious shopping venues, the opportunity to combine shopping with a luxury afternoon tea has all the ingredients of a great girly day out in London. Afternoon Tea at Harrods is served in the elegant surrounds of the Georgian Restaurant, a step back in time reflecting the style of the 1920s and 1930s. A traditional affair, afternoon tea at Harrods is a great opportunity to catch-up with friends and escape the crowds for a moment of rest and relaxation. Experience afternoon tea at Harrods . . . Situated within a short distance of Buckingham Palace, The Rubens at the Palace Hotel boasts unique views across the Royal Mews where you can relax in elegant surrounds whilst enjoying the experience of Royal pageantry. It’s only natural, therefore, that the talented chefs at The Rubens have created a “Royal Afternoon Tea” fit for a Queen – and even little Prince and Princesses too. The Royal Afternoon Tea offers a delightful selection of savoury and sweet treats for adults. And catering for little ones, they have created a fun afternoon tea that will please younger palates. Step back in time and enter the world of 5 Star hospitality in the art deco surrounds of the Sheraton Grand Park Lane Hotel. A prestigious Mayfair venue situated opposite Green Park and a short stroll from Buckingham Palace the hotel has a reputation for its groundbreaking architecture, roaring 1920’s glamour and excellent dining reputation. 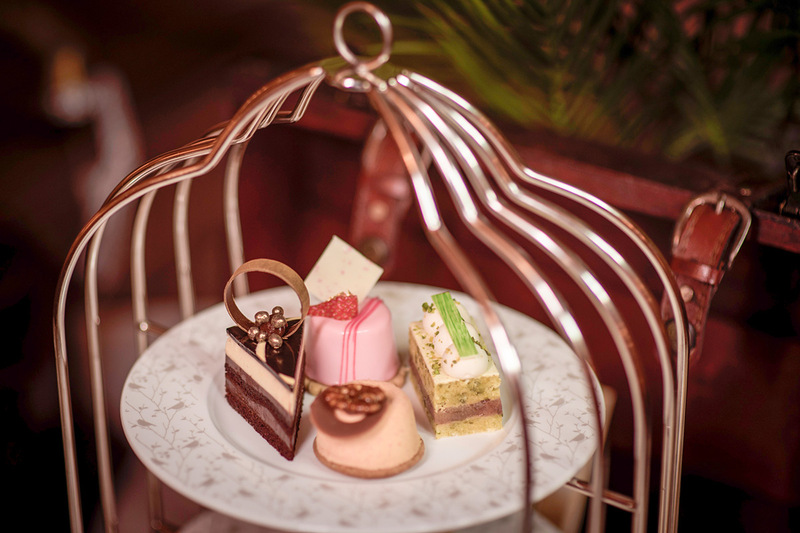 Afternoon Tea is served in the stylish surrounds of the Sheraton Grand’s Palm Court. Tuck into a fantastic selection of afternoon tea treats which include fresh, seasonal sandwiches and melt in the mouth pastries and cakes alongside Palm Court scones served with preserves and traditional finger sandwiches. Conveniently located in the heart of St. James, the Conrad St James is the perfect venue to enjoy a luxurious afternoon tea combined with a day exploring London’s top tourist attractions and luxury shopping. A short stroll from Westminster, Big Ben and Buckingham Palace it’s a superb location to explore this upmarket neighbourhood. The Conrad St James take great pride in refreshing their delicious afternoon tea menu throughout the year and each season afternoon tea goers can sample the beast of each season’s natural larder captured in delicious sandwiches and savoury bites and delicate sweet treats. Explore afternoon tea in London . . .